What is the cheapest way to get from Chinon to Tours St Symphorien Airport (TUF)? 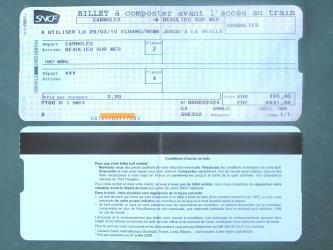 The cheapest way to get from Chinon to Tours St Symphorien Airport (TUF) is to bus which costs 4€ - 8€ and takes 2h 58m. 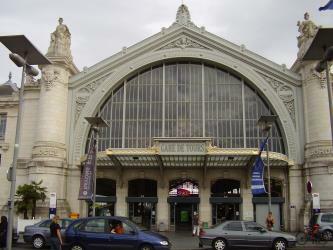 What is the fastest way to get from Chinon to Tours St Symphorien Airport (TUF)? The quickest way to get from Chinon to Tours St Symphorien Airport (TUF) is to taxi which costs 120€ - 150€ and takes 45m. Is there a direct bus between Chinon and Tours St Symphorien Airport (TUF)? No, there is no direct bus from Chinon to Tours St Symphorien Airport (TUF). However, there are services departing from Chinon Lycée Cugnot and arriving at Tours Lycée Vaucanson via Cléré-les-Pins Place de la Mairie. The journey, including transfers, takes approximately 2h 58m. How far is it from Chinon to Tours St Symphorien Airport (TUF)? The distance between Chinon and Tours St Symphorien Airport (TUF) is 47 km. The road distance is 56 km. 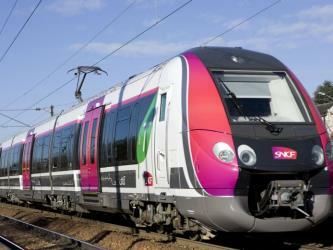 How do I travel from Chinon to Tours St Symphorien Airport (TUF) without a car? The best way to get from Chinon to Tours St Symphorien Airport (TUF) without a car is to train and bus which takes 1h 58m and costs 14€ - 22€. How long does it take to get from Chinon to Tours St Symphorien Airport (TUF)? It takes approximately 1h 58m to get from Chinon to Tours St Symphorien Airport (TUF), including transfers. Where do I catch the Chinon to Tours St Symphorien Airport (TUF) bus from? Chinon to Tours St Symphorien Airport (TUF) bus services, operated by Rémi, depart from Chinon Lycée Cugnot station. Where does the Chinon to Tours St Symphorien Airport (TUF) bus arrive? Chinon to Tours St Symphorien Airport (TUF) bus services, operated by Rémi, arrive at Tours Lycée Vaucanson station. Can I drive from Chinon to Tours St Symphorien Airport (TUF)? Yes, the driving distance between Chinon to Tours St Symphorien Airport (TUF) is 56 km. It takes approximately 45m to drive from Chinon to Tours St Symphorien Airport (TUF). Where can I stay near Tours St Symphorien Airport (TUF)? There are 586+ hotels available in Tours St Symphorien Airport (TUF). Prices start at 58€ per night. 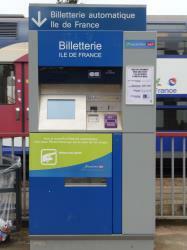 What companies run services between Chinon, France and Tours St Symphorien Airport (TUF), France? 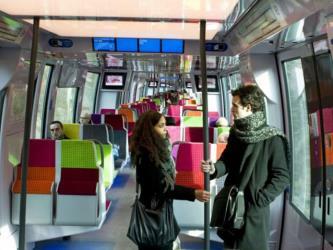 You can take a bus from Chinon to Tours St Symphorien Airport (TUF) via Cléré-les-Pins Place de la Mairie in around 2h 58m. The Jardin botanique de Tours (5 hectares) is a municipal botanical garden and arboretum located at 33, Boulevard Tonnellé, Tours, Indre-et-Loire, Centre-Val de Loire, France. It is open daily; admission is free. The Loire Valley, spanning 280 km, is located in the middle stretch of the Loire River in central France, in both the administrative regions Pays de la Loire and Centre-Val de Loire. The area of the Loire Valley comprises about 800 km2. It is referred to as the Cradle of the French and the Garden of France due to the abundance of vineyards, fruit orchards (such as cherries), and artichoke, and asparagus fields, which line the banks of the river. Notable for its historic towns, architecture, and wines, the valley has been inhabited since the Middle Palaeolithic period. In 2000, UNESCO added the central part of the Loire River valley to its list of World Heritage Sites. The Château de Villandry is a grand country house located in Villandry, in the département of Indre-et-Loire, France. It is especially known for its beautiful gardens. Rome2rio makes travelling from Chinon to Tours St Symphorien Airport (TUF) easy. Rome2rio is a door-to-door travel information and booking engine, helping you get to and from any location in the world. Find all the transport options for your trip from Chinon to Tours St Symphorien Airport (TUF) right here. Rome2rio displays up to date schedules, route maps, journey times and estimated fares from relevant transport operators, ensuring you can make an informed decision about which option will suit you best. Rome2rio also offers online bookings for selected operators, making reservations easy and straightforward.